I can’t count how many times I’ve been invited to pool parties only to attend and see absolutely no one in the pool. Many of the ladies at the pool are rocking super cute bathing suits, but not enjoying the water. What’s the number one reason? They don’t want to get their hair wet. Believe it or not, you can still have great curls and enjoy time in the swimming pool. The biggest turn off about swimming is all of the chemicals in the pool, like chlorine. According to Livestrong, chlorine can have a major drying effect on hair after exposure for an extended period of time. There are also other concerns to keep on your radar like harmful sun rays, which can cause dry, crunchy curls. 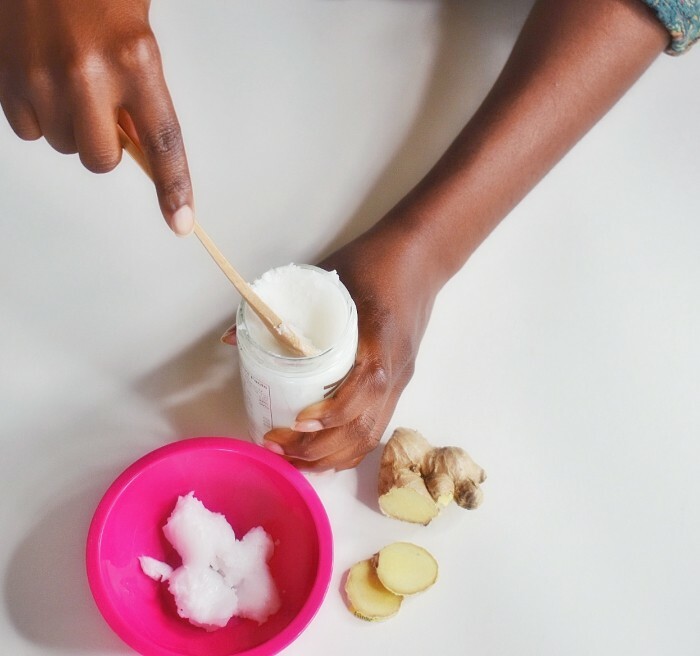 The good news is, while there are countless hair products on the market aimed at curly-haired swimmers (check out a full list), there are just as many DIY products you can create at home to make your swim session worry free. Right before you make your pool debut, you may want to follow some of these swimming tips for curlies. These ideas will fight against the dreaded dryness brought on by the swimming pool. On top of that, try applying a mist like my DIY rosewater spritz or the one below. In a spray bottle, combine these ingredients and shake upon use. You can use many of the ingredients you already have at home to whip up the recipes you need. 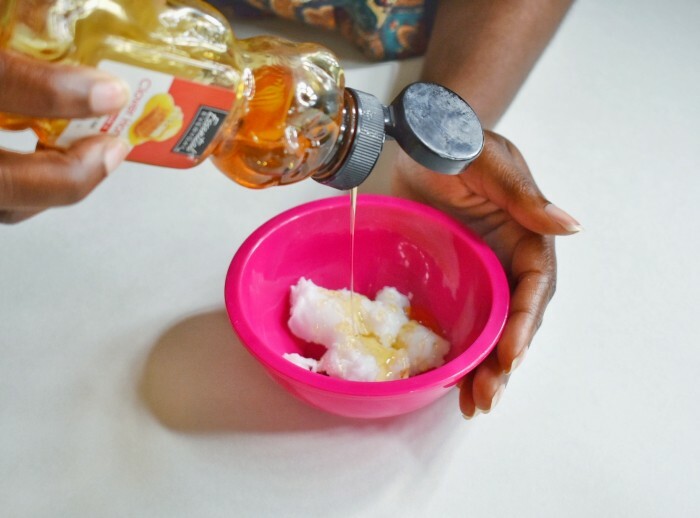 Combine ingredients in a bowl, apply to hair with hands, and cover with plastic cap for 15-30 minutes before rinsing with cool water You can double the recipe for longer hair lengths or tighter curl patterns. Combine oils into a color applicator bottle with a nozzle tip and place into a coffee mug filled with very hot water for 1-2 minutes. Apply directly to scalp. This tip is non-negotiable. I know it will add an extra item to your ever-changing to-do list, but if you want healthy hair, don’t even think about skipping this step. The chlorine from the pool will need to be removed from your strands to prevent any damage from this strong chemical. Don’t get lazy after shampooing! You’ll need to replenish the moisture you lost in the pool with a conditioner left in 15-30 minutes. Whatever length of time works for you is fine, but don’t skip this step. These oversized hats cover not only your head but provide some protection for your eyes, shoulders and neck. You can now find several caps made for those with big, curly hair. Try one out. Have you been getting in the pool this summer? How have you addressed your curl concerns?